Fridays are particularly special for me because I have no hesitation to stay up late working on my quilt projects. I can get the kids tucked in, and then it’s all about “me time”. Yes, I do have a husband, and he does live with us. However, he has no capacity anymore to stay up past 9:00 pm. So – I get to go a little retro and pull late night sessions like I was in college again. First – I wanted to show you what I have in my shopping basket right now with FQS. 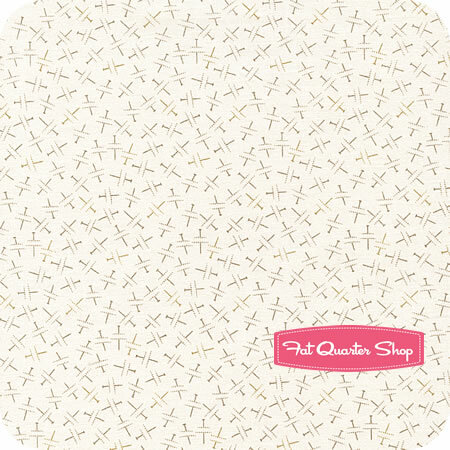 There is a new collection of backgrounds/neutrals that really caught my eye. 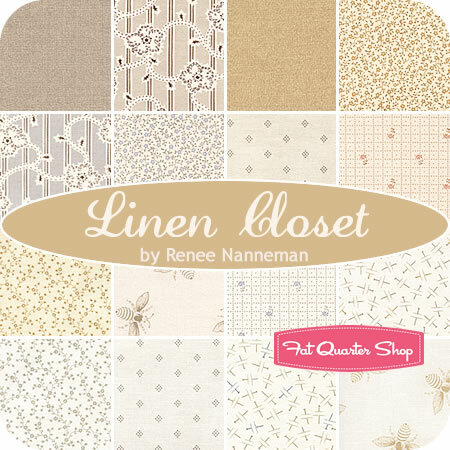 It is Linen Closet by Renee Nanneman. Both of these come in two colorways – light gray and wheat. I’m thinking the ‘Pins’ fabric will be a perfect background to go into the next Vintage AYOS pattern, called “Gentle Art”. If you were following some of the quilty blogs late last year, there was a big sew-along on another thread spool pattern. Although I had my fabric all picked out for it, I never got around to starting it. Now I have another chance for redemption – because I do think a “Spool” wall hanging is a must-have for anyone with a spare bedroom corner of a sewing room. 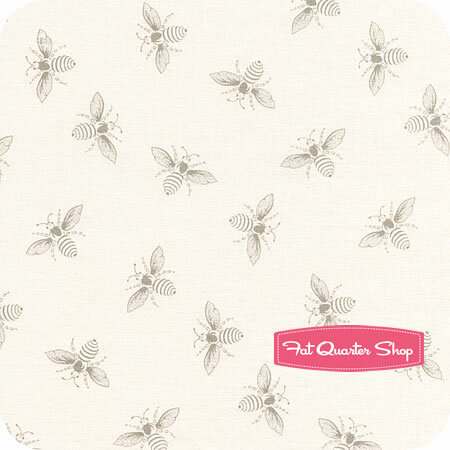 The May AYOS pattern is called “Gentle Art”. 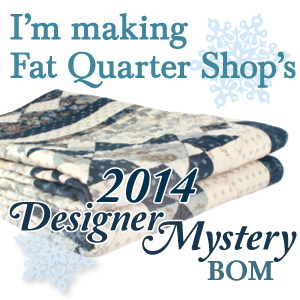 You can purchase the PDF pattern through Carrie’s website by clicking here. 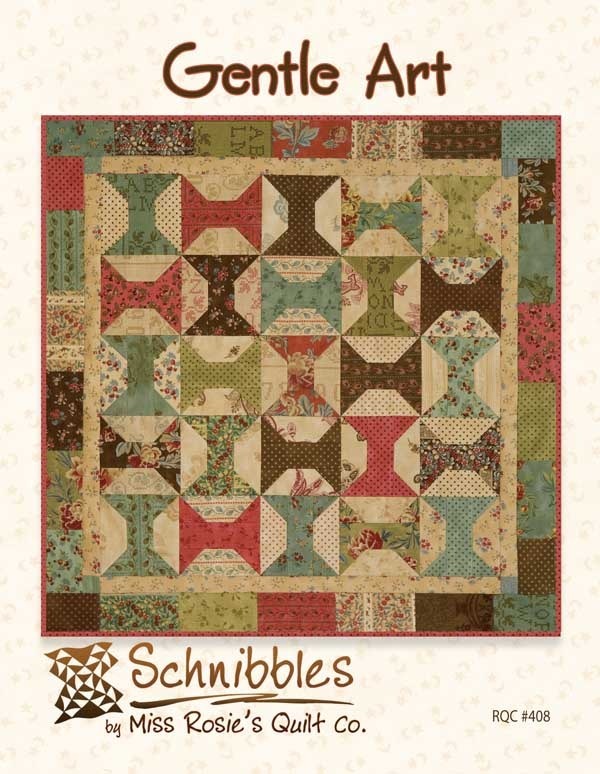 My thought is to browse through my vast collection of charm packs and jelly rolls of vintage Fig Tree fabric (perhaps Allspice Tapestry or Mill House Inn) and get started on this one as soon as I get my order in from FQS for the background. 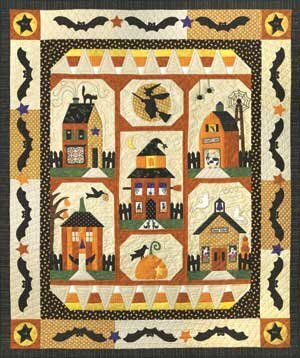 I was so inspired by the parade of quilts this week, that I am going to really study this pattern to see how I can make it my own. Finally – I suppose it is time to get started on my Halloween BOM that I have collected over the past six months. 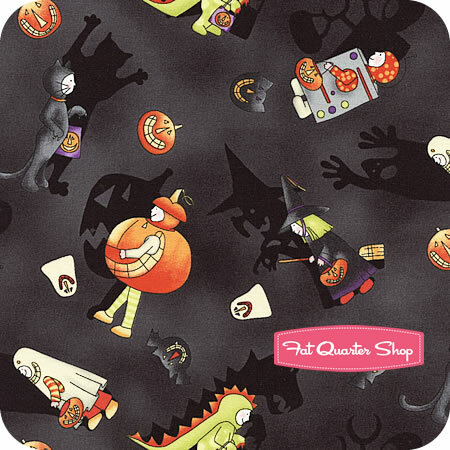 I ordered the Sew Spooky BOM from Suzanne’s Quilt Shop and have all the components now, except for the backing. You can find this BOM at a lot of online shops, just search for it on the internet. Ok, I guess that’s enough on my plate for today. Hope you are getting excited about some upcoming, quality “me time”. Have a spectacular weekend and thanks for stopping by today! ← AYOS Virgin no longer! Love the bees too. What fab neutrals, very jealous!